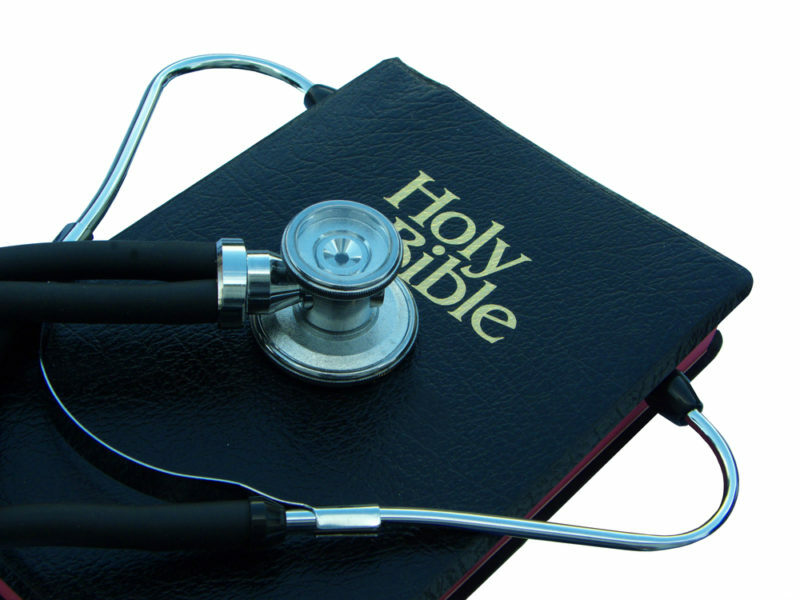 Did You Know The Bible Can Radically Improve Your Health? The Bible, aside from spelling out the life accounts of patriarchs and prophets, the redemptive work of Christ for humanity and the dos and don’ts of our faith as does every manual, also makes bare many principles concerning attaining good physical, mental and spiritual health. This is corroborated by The Wycliffe Bible Encyclopedia that says the laws Moses received from God, which make up the bulk of all health instructions in the Bible, contain remarkable rules pertaining to public health which concerns us even today, such as how to deal with infectious diseases, food and water hygiene and sewage disposal. Just as a manufacturer adds a guide to his created item to ensure its efficient use, so did our Creator give us a guide to live by to enhance our smooth stay on earth and beyond. All it takes is to obey His words. Imagine what will happen if you use a machine for the first time with no prior knowledge about how it operates, and you still do not go by the manufacturer’s instructions. Likewise our health, that is what happens when we fail to pay heed to the words of God concerning our physical, mental and spiritual wellbeing as Christians. The general thought to always consider as Christians when thinking about how to be healthy is to remember that our bodies are temples of the Holy Spirit, and in order to make our bodies conducive enough to accommodate Him, we need to first of all keep ourselves and our environs clean. Just as none of us will invite the president over to our homes when we are unkempt and our surroundings are filthy, so should we not expect the Holy Spirit to dwell in us when our bodies are unclean, hence, personal hygiene in its entirety, ranging from hair, nail, clothes, and oral hygiene amongst others, should be the practice of every Christian. The next thing on the list to consider to be in good health as a Christian is to have the story of Daniel and his companions in mind when choosing what to eat. The food you eat becomes your flesh, blood and bones. Though everything is permissible, and all foods have been made clean and sanctified by God for consumption, but not everything is beneficial. After 10 days of eating just vegetables and drinking only water, Daniel and his friends played out a classical example of a clinical trial whereby they looked healthier and better nourished than the control group. This is not to say we should live exclusively on vegetables and water, our balanced diet should be rich in fruits, vegetables and lean protein. For remember, you reap what you sow. Sowing junk foods, fatty foods, alcohol and lots of red meats will yield cardiovascular diseases by the time of harvest which you will have to sadly reap. Another issue about our dietary consumption that cannot be overlooked is the control of our eating habits. If we are unable to control our eating habits by overeating and yearning for everything we see, we will not only get obese and become prone to so many diseases like diabetes, atherosclerosis etc., and even age quickly as caloric intake has a positive correlation with aging, but that will also be indicative of our inability to control other habits such as keeping our mouths from gossip and our lack of mastery over sins like lust, covetousness, and unrighteous hatred/anger. A component of health that is mostly affected is our mental health. Research shows that both physical and mental health interacts in a bidirectional manner where the aggravation of one type of condition can deeply impact the other. Emotions, a component of our soul, when negative consist of electrochemical signals that affect the chemistry of every cell in the body causing the malfunctioning of organs and putting the body in an aroused state such that its immune functions are adversely altered. Even the Bible says:“All the days of the oppressed are wretched, but the cheerful heart has a continual feast.” (Proverbs 15:15). To keep us from developing these negative emotions (such as sadness, anger and anxiety) which will have grave effects on us, the Bible admonishes us to be anxious for nothing (Philippians 4:6), not to grieve, “for the joy of the Lord is our strength” (Nehemiah 8:10). We should be cheerful, “A cheerful heart is good medicine, but a crushed spirit dries up the bones.” (Proverbs 17:22), and the Lord will deliver us from all our afflictions (Psalm 34: 19). Let’s also share kind words amongst ourselves as “Pleasant words are a honeycomb, sweet to the soul and healing to the bones” (Proverbs 16:24). May you find peace and good health not only today but for a lifetime.